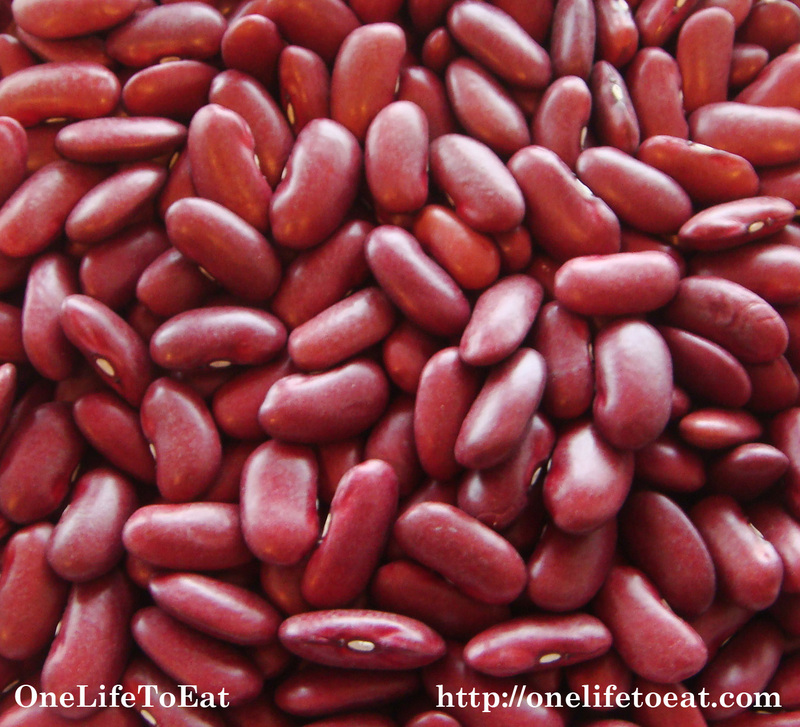 Rajma is an all time favorite dish. My mother never made it much when I was a child but I remember her making it quite often when I was in college. She usually made some fresh, crispy parantha’s with it and some tangy raita. I think this had a lot to do with how easy it is to prepare, if you’re armed with a good pressure cooker and a few basic Indian ingredients. Rajma is a popular North Indian dish and is usually eaten with an extra vegetable preparation, rice and paratha’s or poori’s. As is with most other North Indian dishes, the usage of dairy products is pretty common in the dish, as a garnish or as a main component itself; for ex. in the marinade. 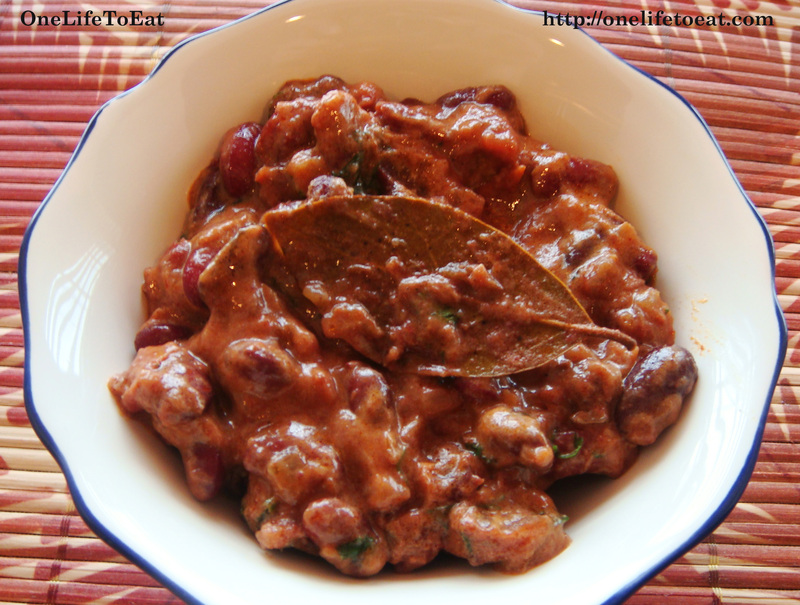 Traditionally, Rajma is made in Ghee and garnished with fresh cream and yogurt. Going with the healthy theme of OneLifeToEat, my version is made in vegetable oil and has a garnish of yogurt, to thicken the curry. Add all the dry spices, mix well and wait for the oil to separate from the mixture. Finally, add the soaked beans with about 1 up of water and pressure cook for 4-5 whistles. You can also cook this in a large pot, adding water as needed. It’ll take about 4-5 hours. Allow the Rajma to cool a little, and add the whipped yogurt. Garnish with chopped cilantro and a little lemon juice. Enjoy with Zeera Rice, Parathas or Rotis.